Rodney Stares trained as an economist – specialising in business finance and accountancy – and in a career spanning more than 40 years has worked on a wide variety of local economic development, community enterprise and corporate social responsibility projects in the UK, US and developing countries. Latterly he developed his own range of specialist software products. He has founded or co-founded numerous new ventures including consultancy firms, social enterprises, a village development trust and a leadership training foundation. He was a founder member of Social Entrepreneur Network Scotland (Senscot) and has been its Treasurer since its inception in 1999. For 6 years he served as a trustee of UnLtd, the national funding body for social entrepreneurs. Kevin Cadman is an experienced financial services executive who has held a number of key senior positions in both the Private and Third sectors. For 30 years of his career worked with the Royal Bank of Scotland Retail division, latterly until 2012 as Regional Director for Central Scotland and Head of Delivery for the Groups Complaint Handling programme. 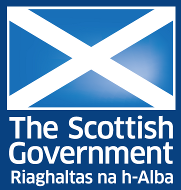 Since 2013 until retirement in June 2018 held the role of Chief Executive for the Grameen Scotland Foundation, a new charitable foundation set up in 2012 to introduce the worldwide renowned Grameen micro-credit model to the UK and European markets, supporting communities and individuals in need firstly in the West of Scotland. Alison Massie is Head of Finance & Compliance at CapitalCapital is another word for money. It refers to financial capital or money and in particular the amount of cash and other assets held by an organisation. Credit Union. CapitalCapital is another word for money. It refers to financial capital or money and in particular the amount of cash and other assets held by an organisation. Credit Union is widely recognised as being one of the most successful, innovative, and visionary credit unionsCredit unions are financial cooperatives owned and controlled by its members. Credit unions are committed to improving the social and economic well-being of its members by providing low cost loans and encouraging savings. They give loans at low interest rates to everyone but also those who might struggle to get a loan elsewhere. Account holders are expected to save money whilst simultaneously repaying a loan. In order to be a member an account must be opened and the credit union criteria has to be met. This criteria is normally specific to the postcode or area where the person is living or alternatively to where the person is working. in Britain today. The Credit Union is the 3rd largest in Scotland and has a membership of 20,000 with assets of over £27m under management. CapitalCapital is another word for money. It refers to financial capital or money and in particular the amount of cash and other assets held by an organisation. has members throughout the East of Scotland from the Borders to Angus. Alison joined CapitalCapital is another word for money. It refers to financial capital or money and in particular the amount of cash and other assets held by an organisation. Credit Union in 2009; she is a qualified accountant and has more than twenty five years experience as a senior manager and director of finance mainly in not for profit organisations. Alison was a trustee of The Pensions Trust for 12 years between 1995 and 2007. Eamonn Connolly has worked for EVH since 1997. His background is within public and private hospitals both within the UK and overseas. He also served as a senior university official prior to joining EVH. Eamonn has also worked within construction, entertainment and food distribution. Within EVH he leads the team and has overall responsibility for industrial relations and employer support across the membership. He performs a wide range of consultancy and training for members and countless others within Scotland’s social enterprise sector. Eamonn also serves as a Board member of Fair Deal, a Glasgow based organisation providing support to people with learning difficulties. James Henderson works at the University of Edinburgh on the Smart Urban Intermediaries research project and is pursuing further action research on community anchors and the social economy. He has been undertaking community and action research since 2001 and is increasingly focused on the role of community anchor organisations to support complex local economic, social, democratic and sustainable development: studying this ‘model’ to complete a PhD at Heriot Watt University. James works with many communities to ensure the development of relevant practice and policy and on current priorities and challenges remains focused on them. 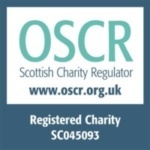 Pauline Hinchion is Director of the Scottish Community Re: Investment Trust (SCRT) and its financial arm Scottish Communities Finance Ltd (SCF Ltd). She did a Masters in Community Economy Development and has a HNC in Socially Responsible Finance. Although previously, she worked in the private and public sectors, for over 20 years she has worked mainly in the Third Sector. This is the sector that aligns most with her own green and social philosophy for a good life . She is very interested in green politics that allows people to live equally within the resources available to us on the planet.